Every once and an annoying while, I will accidentally eat something I am allergic/intolerant to and get sick. This usually happens in public places, since I don't cook things I can't eat at home. Inevitably, someone will say, "but you just had a few bites, you're really sensitive." Sensitive? That's a dumb thing to say. If someone ate just a little bit of arsenic and got sick, would you say, "gee, you're really sensitive to poison!" Or if they drank a bit of bleach and burnt all the lining of their esophagus, I could just see a doctor now saying, "the patient is really sensitive to bleach...."
It's a little extreme, but the point is the same. 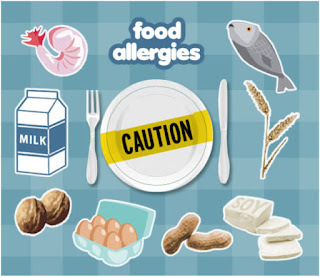 The fact is while food allergies are just caused by harmless food you normally eat, to a person with an allergy, their body reacts as if they've been poisoned. So for these people, some foods ARE poison, even deadly. I don't want people to mix up being sensitive (or the implied weak or fragile) with a food sensitivity, which has a scientific definition and physical response. I have food sensitivities, but I am not sensitive to food, nor does the food make me sensitive. Non-allergic food hypersensitivity is the proper scientific term for "food intolerance." My body cannot tolerate or digest certain foods. I am intolerant. I'll explain what happens to me. When I accidentally eat shellfish, even if it's just a little, my face flushes and I start to feel hot all of a sudden. I start burping (dyspepsia) and feeling odd. Within an hour, I am doubled over with intestinal cramps and diarrhea. If I can catch what happened fast enough and get some Benadryl, it's not as bad a reaction. However, I've had the effects of just a small amount of shellfish last all night to all weekend. It's no joke and it's not fun. My father was intolerant to shellfish and so is my son, unfortunately. The difference between an intolerance and an allergy is an intolerance usually has to do with lacking the digestive enzymes to properly digest certain proteins, whereas an allergy is the body over-reacting to what it believes is an invader. Intolerances are more likely to affect the gut or mucous membranes (sinuses included) and allergies are more likely to cause anaphylaxis - which just means more than one reaction occurs at the same time. Contrary to common belief, it does not mean the person swells up and can't breathe (though that can be part of anaphylactic shock). All it means is more than one part of the body reacts simultaneously, so it could be diarrhea and hives. Or nausea and runny nose. So I hope that clarifies things a bit and also how important it is to treat these things seriously. When people with food allergies or intolerances make special requests not to include a food, it's not because they don't like it or are picky eaters trying to cause problems. It's so they don't have their whole weekend ruined on the toilet or actually die. Note: While searching for images, I found this controversial article on how food allergies can be good for you (their opinion, not mine!) Read it if you're interested. I just found your blog and I love this post! I have tried to explain this to so many people and it is just really hard. I like the way you simply explain the difference between an allergy and a sensitivity. 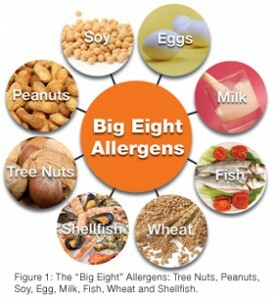 My 2 yr old son is severely allergic to eggs, nuts and peanuts and he is sensitive to gluten and dairy. It kills me when people give me the "oh but it is just a bit of cheese". Ugh! Also, we are looking in to the Banque Mixte program and are hoping to go to an info session at the first of the year so I am looking forward to following your journey. Oh, you mean at Batshaw? We went to the info session - just a warning, unless they've changed the format, it's a little depressing. They really inform you about the worst case scenarios to make sure you know what to expect. They called us afterwards to ask us what we thought about it since so few people sign up after the info session. We told them honestly that it's a little off-putting to hear horror stories two nights in a row. Not sure if they've improved on how they deliver that info. And thanks for stopping by! :) Nice to meet you. Oh yes, we got the results of the test and it came out negative for celiac. But I've heard (in the autism circles) that the tests they do here are not as sensitive as those in the US and a lot of parents bring their kids to specialists there. Since then, our whole family has gone gluten-free (something else I should write about!). We have not yet noticed many differences, but we all feel good and my hubby's migraines have pretty much disappeared. That's a big and good difference for us! I will look into that book you recommended, thanks! 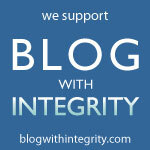 Thanks for complimenting my blog - I try to keep it as updated as possible. I should update on our fostering application status, but you might be disappointed. We haven't submitted our paperwork yet, for many different reasons I can go into in a post. But mostly because of my job and the uncertainties with our current child. We have a lot on our plates right now. But it's something always at the back of my mind. I think you will really like the book, it kind of blew my mind. As for the foster to adopt stuff, we are in the same boat, we have been back and forth about a million times on even attending the info sessions. It sits in my heart and mind and I guess when the time comes we will know for sure we are ready. It is a really, really big decision. Oh and based on what I have learned they say you cannot know for sure the benefits from going gluten-free until you have been off of it around 3 months. We did the same as you and everyone is gluten free in our family too. Not as hard as I thought it would be and we are all feeling better. Would love to read a post about your experience. That is a terrifying experience, but it is so good you persisted with the doctor for an Epipen.